Interested in attending an NCCP Course? Not sure which NCCP Course is right for you? For those interested in assessing which NCCP course may be most appropriate/valuable – CONTACT FHBC’s Coach Leadership Team of John Sacre at jsacre@fieldhockeybc.com /604-737-3145 or Julie King at jking@fieldhockeybc.com / 604-730-7220. The National Coaching Certification Program (NCCP) is a coach training and certification program for 66 different sports across Canada. NCCP workshops are designed to meet the needs of all types of coaches, from the first-time coach to the head coach of a national team. 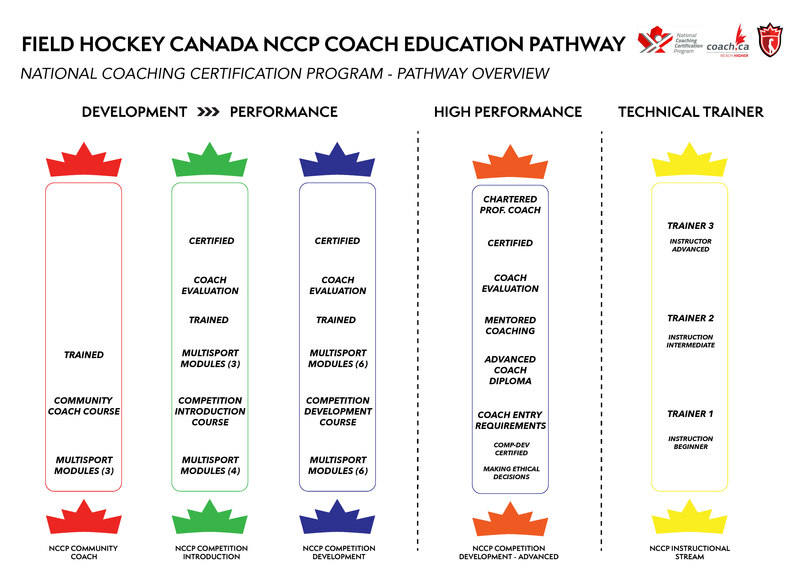 The NCCP is the recognized national standard for coach training and certification in Canada. As part of the program, all coaches are trained in ethical decision-making and sport safety. 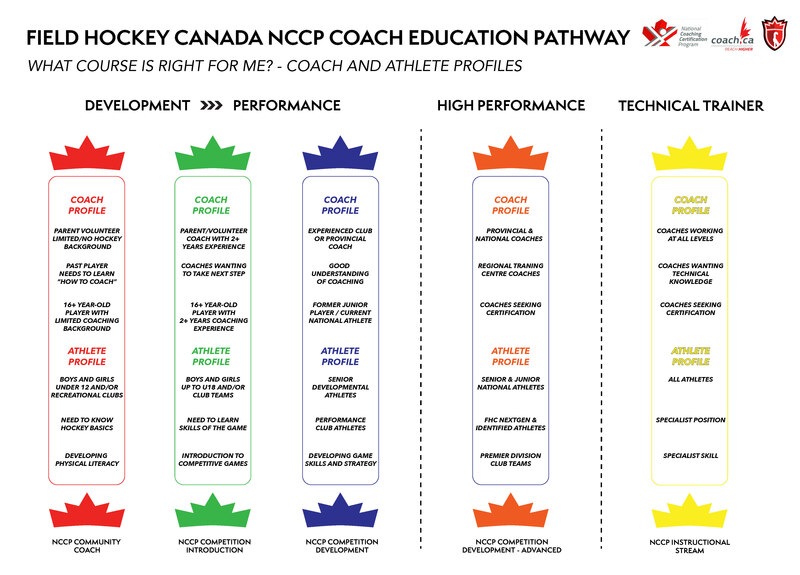 For more details on each stage of the NCCP Pathway, click here.